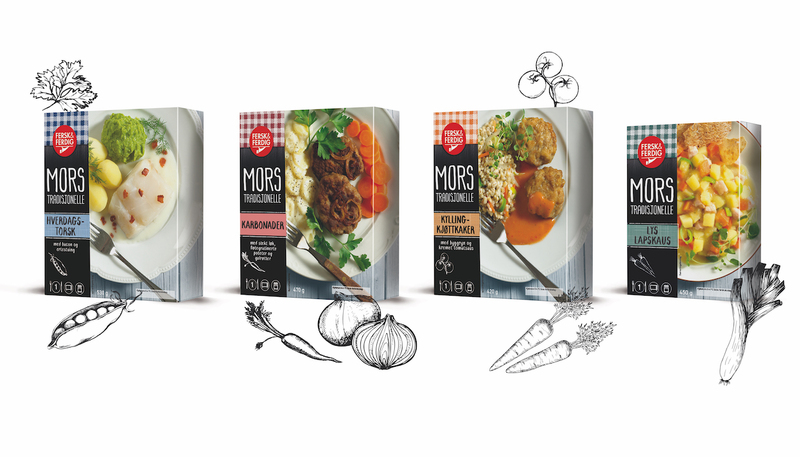 Ready made meals are a growing category in Norway. Unil AS is one of the biggest suppliers in the market in Norway. They wanted to redesign and further develop their series of ready made meals. Giving it a new updated visual profile as well as introduce new products targeting new customers by introducing new recipes and categories. 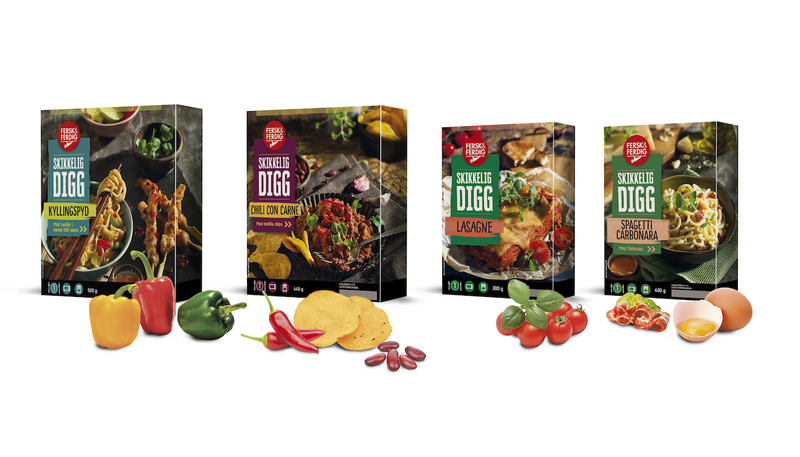 From popular traditional Norwegian recipes, the range of products should also include more international known meals like Italian and Mexcian meals. 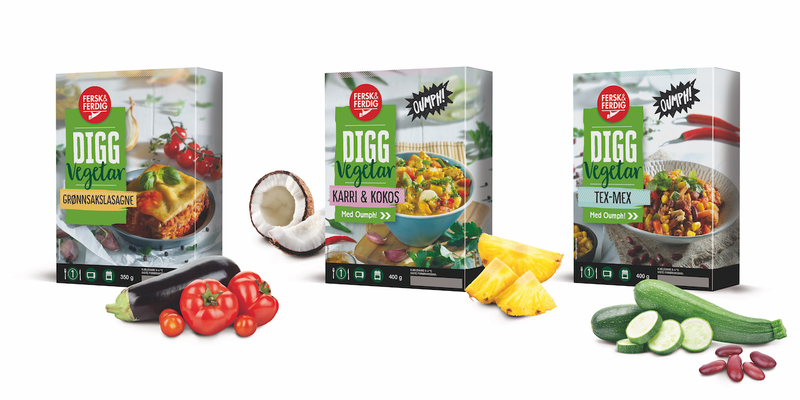 A vegetarian series is introduced to meet the growing interest in vegetarian food. So we had to build a strong Brand Identity for the brand Fersk & Ferdig that could work across a broad target group. And also very important make strong sub-brands that stand out and give a lot of buying signals. The combination of technics used to make the product looks good, photo, and the use of different shapes to build a strong brand and sub-brands. The design gives a unique possibility to even broaden the series of products into new categories. The design works on many different types of packaging formats as well as materials.